Research by a Dutch team of doctors several years ago studied 344 heart attack survivors and found that more than one in ten had experienced out of body experiences, visions and lucid thoughts while they were ‘clinically dead’. Dr. Peter Fenwick, a consultant neuropsychiatrist at London University told The Sunday Telegraph “If the mind and brain can be independent then that raises questions about the continuation of consciousness after death”. ‘British scientists say there is convincing evidence that a significant proportion of the population possess psychic powers. The research is being led by Dr Peter Fenwick, a neuro-psychiatrist at London University, who has just completed a survey of heart patients claiming to have had "near-death experiences" after their hearts had stopped beating. "There is now convincing evidence to challenge the current theory that consciousness can only exist inside the brain - and if you can have consciousness without associated brain function, that is enormously important for our understanding of the mind," he said. In recent research, sixty patients at Southampton General Hospital’s coronary care unit were interviewed after heart attacks had left them temporarily brain-dead. Seven reported near-death experiences - defined by characteristic features such as a feeling of leaving your body, going through a tunnel and entering an area of "love, bliss and consciousness". "The significance of this is that after a cardiac arrest you lose consciousness within eight seconds; within 11 seconds the brain’s rhythms become flat, and within 18 seconds there is no possibility of the brain creating a model of the world - so the brain is down," said Dr Fenwick. "Yet whenever we asked people when their near-death experiences occurred, they said it was during unconsciousness. If that’s true, their experience was occurring when there was no blood flowing through the brain - and consciousness would appear to exist outside the brain." It could be argued that their experiences occurred in the few seconds between brain functions being restored and the return of consciousness. But recent research on a patient in the United States, where traces of electrical activity in the brain were closely monitored, suggested this was not the case. "That study and other evidence points to the mind and brain not being identical, and it seems that the mind may operate in part outside the brain as a sort of field which works in the same way as a TV receiver receives programmes through the airwaves," said Dr Fenwick. "The main question we are trying to answer is does the brain-identity theory really hold - and the next step is to find more people who experience leaving their bodies and put symbols on the ceiling or walls of the ward to see if they are able to detect them." Since the beginning of time people have reported experiences and events which lie outside the boundaries of scientific knowledge. These include many remarkable human experiences such as claims of after death contact, near death experiences, ghosts, visionary experiences, precognitive dreams and all manner of extraordinary encounters that lie on the very brink of our understanding. At times we catch a glimpse of these wonderfully mysterious and life changing incidents. In examining the essence of these experiences, we need to explore the nature of reality itself. What is reality? Is reality the way we observe the world around us? Or is the consensus reality that we all use not the way it really is at all, leading to the idea that there is no such thing as an objective reality and therefore we need wide-ranging and unanimous ideas of how the world looks, stocked with images and models, in order to be able to communicate and make the world go round so to speak.. It is an interesting thought, is it not, that without language and a way to express our perception of the world around us, reality and interpretation would be a totally subjective one. Even with a consensual reality we still perceive some things in our own very personal way and this can vary enormously from person to person hence the old cliché of several witnesses to a traumatic event and how their individual understanding of specific events leading to the incident can differ. There are an infinite number of possible realities out there all part of the whole and all very real to each one of us. This brings me to some of the central issues of this article, which will focus mainly on claims of after-death contact. People now have instant access to the internet where they can share and discuss a whole range of experiences like this and it is evident there are literally millions of stories out there, which record experiences of this kind. What is going on? Could there be any substantial evidence to suggest that people have indeed had communication with dear and departed loved ones, or is this due wholly to imagination and wishful thinking during the course of bereavement. Many of us have heard anecdotal stories from people who feel they have undergone extraordinary experiences from seeing their dead loved one to hearing them speak or sensing their presence in a very powerful way. These people are convinced that what they have seen, heard or felt was absolutely real and happening for a specific purpose, often so the person left behind is given comfort that their loved one continues to exist in some way beyond our physical boundaries. Apparitions of this nature can often look physically real to the receiver as though they are actually here in our space-time as a biological entity; until they fade or seem to disappear. Many questions are being asked and there are people, who are convinced beyond a shadow of doubt that they have indeed been contacted by their departed relatives and friends... and that these experiences were not due to imagination or a desire to see those they have lost. They remain utterly persuaded that they have indeed seen, spoken or sensed the presence of their dead relative and in some cases this has involved an actual interaction where a message has been conveyed to them. So, just what is going on here and what do these claims of ghostly visions really mean? There are many people who report observing apparitions of people unknown to them at specific locations or haunted areas, but for this article I specifically want to define reports documenting claims of contact with people with whom the experiencers have had a close relationship. All events documented below are based on reports where I have personally spoken with the people, or those close to them, who have experienced events of this nature. I have chosen these specific cases to illustrate the range of contact that is reported. All names have been changed, but every case has been reported as reliably and honestly as the person’s perception and interpretation has allowed. A journalist from the North East area related a specific account of her near-death experience to me in 1996. She had contacted me initially to help her with some research on a UFO article she was writing for a local paper. From there she told me of several unusual events in her life one of which had a profound effect upon her. Amanda was on holiday in Almeria Spain with her boyfriend in July 1993. After a few days they hired a car and decided to visit Granada the next day, but were dismayed when they woke up to gale force winds and torrential rain. They decided to make the trip anyway and set off along the mountain roads. Unfortunately they never arrived at their destination because the car hit a rivulet on a bend and couldn’t hold the greasy road as they aqua-planed into a tree. She fractured both the bones in her right forearm, and elbow and her blood pressure dropped to an extremely low level as she lay unconscious. She clearly remembers at this stage somehow ‘lifting out of her body’ and seeing her body laid in the ambulance from above. At this point she explained that she noticed some blood on the front of her blue gown, which apparently was caused by an injury to her stomach that she had suffered in the crash. Some time after the crash, when discussing it with her boyfriend, he seemed amazed when she mentioned the blue gown from the crash scene. This gown was apparently put on her while she was unconscious because her own dress had been ripped to shreds, but because of the blood it was changed as soon as they reached the Spanish hospital. Amanda told me that this incident has changed her a great deal and the way she interacted with people particularly wanting to help and show kindness to them rather than just dismissing them. After this incident she developed an acute ability to sense negative or ruthless thoughts from people and also felt as though she had evolved in a spiritual way. Amanda moved to America about several years ago to work as a journalist and I last saw her at a Conference in 1996, where we spoke again of this incident and her feelings about it. These feelings and dramatic life changes are reported by a high percentage of people who undergo what has become identified as a near-death experience. Dr. Raymond Moody pioneered research into these experiences in the 1970s and he wrote two best selling books on the subject leading the way for further research by the medical profession and others who have investigated these claims since the 1970s. In examining the nature of after-death communication known hereafter as ADC, I would like to open this article with a compelling and unusual incident, which I learned of several years ago via a work colleague, Mike. At the end of February, Andy received a telephone call telling him that his sister, Elizabeth had, died very suddenly. Andy went to help with the funeral arrangements at Elizabeth’s home and her husband told Andy about a strange incident that occurred on the day of her death. Elizabeth and her husband used to walk together down the side of the hill from their home in Rotherham to go to work in the mornings where Andy would then get his bus and Elizabeth would continue down the hill. On the morning she died, Elizabeth ran back to her husband before he got on the bus and threw her arms around his neck saying ‘thanks for everything Andy’. She died before she got to work that morning of a heart attack. She was in her early fifties at the time. While Andy was at Elizabeth’s home helping to sort things out on that day, he noticed they had a bookcase built into the wall with many books on it. He picked up a book and out fell a piece of paper with a message from Elizabeth to Andy. She had written the following words. An unusual account indeed and according to my colleague, Andy was astounded by these events. I believe it is significant that nurses who are often on the front line of death report some very unusual anomalies and I can honestly say I have never spoken with a nurse, who has not had a story to tell relating to various patients they have nursed who have subsequently died. Even the most hardened and pragmatic nurses have sensed or observed curious features prior to and at the moment of death of their patients; events that they just cannot explain in any terminology at all. To illustrate this I can relay a particular story from a friend, who is a senior lecturer in nursing studies here in the Newcastle She told me recently of the time she worked in a hospital in Scotland where she was nursing a lady close to death. As everyone knows hospitals are invariably too hot and on this night it was a very hot on the ward. The lady was in a ward off to the side and Leanne was sitting with her, when she became aware that room had become ice cold. This was not the case in the rest of the ward, where it was still extremely hot. At the same time as the ward became cold Leanne had a very strong sense of a presence in the room. Just after that her patient died and the room returned to its original temperature. A close friend and colleague of mine told me of the following events soon after his father died several years ago. Jeff received a telephone call from a neighbour of his father to report that he had noticed that the curtains had not been opened in his bedroom. It was a Monday morning and Jeff arrived at his father’s home at around midday. He had to force open the front door and sadly found his father dead in bed. The doctor established that his father had died in the early hours of that Monday morning. On Tuesday, Jeff was back at his father’s home sorting things out and making arrangements for the funeral etc. and was putting some things in his car when one of his father’s neighbours said ‘sorry to hear about your Dad’ and went on to say that the last time she saw him was yesterday morning around 9am coming out of his house and walking across the footbridge to the Post Office. Jeff realised that this would have been impossible as his father had died in the early hours of Monday morning. Jeff dismissed her comment believing she must have been mistaken. However later that day Jeff was approached again while coming out of his father’s house to his car by another neighbour, a young lady, who said how sorry she was to hear about Jeff’s father and then went on to say that she had seen him stood at the door of his home sometime after 9am the previous day (Monday). Jeff asked if his father had spoken to her, but she informed him that he had said nothing. Jeff obviously felt that this had now become curious. Neither neighbour could have observed his father at around 9am or afterwards on that Monday morning, as his father had died during the night. He told me he felt slightly unnerved by this. Of course it is a possibility that both neighbours were mistaken and had their days confused, but it is puzzling is it not that not one, but two neighbours spoke with Jeff to tell him that they had seen his father the previous Monday morning around 9am. Jeff did not inform either neighbour that his father had died during the early hours of that morning and therefore they could not have seen him…or could they? In 1995, I was contacted by Emma from Cleveland. Emma had experienced many extraordinary events during her life, and wanted them to be recorded. One of these events is very closely linked to the focus of this article. In 1963 Emma’s marriage of twenty-one years ended and she left Hertfordshire with her teenage children, and moved to Bedfordshire. While on a course in London she met John and began a close relationship. Emma described him as a lovely person, the eldest of six and several years younger than herself. Instantly Emma was aware of walking in the cornfield with John again, who was talking about the same subject he had been discussing before Emma had experienced this very unusual events. John had not observed anything at all and Emma made the decision not to mention her bizarre experience. In June of 1965, a year to the day after these experiences, Emma and John were sitting in her dining room discussing ideas for their honeymoon, as they planned to marry the following year. John suddenly broke off in mid-sentence and stared past Emma with a look of wonder on his face saying “Where am I? It’s so beautiful”. He fell back without another word and Emma ran for help to her next door neighbour, who was with the ambulance service. Her neighbour ran towards her house telling Emma to ring for a doctor at the telephone box. Emma did this and was informed that an emergency doctor would be straight over. She ran back to the house where her youngest sixteen-year-old son opened the front door and said that her neighbour (the ambulance man) had asked her to wait upstairs. Emma went upstairs and then remembers hearing a car and the front door closing and believed that the doctor had arrived to look at John. After a while and feeling that the doctor was taking a long time, she felt that maybe the doctor was calling for an ambulance from the local call box to take John to the hospital. However the phone box and street were deserted and the house seem to be very silent when suddenly a man’s voice called to her from the bottom of the stairs, “I’m a doctor, can I come up?” Upon running to the landing Emma saw a tall, athletic young man, about thirty, with short sandy coloured hair and wearing a tweed jacket and grey trousers climbing the stairs two at a time. John was buried at the church that week and on the Sunday Emma attended an evening service at another church with John’s family (mother and five brothers). She had been home for only a short time after this when John’s mother and one of his brothers arrived with terrible news. Edward, the brother Emma had seen dead on the hay wagon beside John, had died in the same way as John, without any warning. They are both buried at the same church. John was aged thirty-nine and Edward, aged thirty-seven. About one month after these events Emma felt the need to thank the young sandy-haired doctor who had comforted her so much at her home after John died. As she had not asked his name she asked the ambulance man who it had been. He informed her that it was a Doctor Robinson and told her where the practice was in town. When Emma went to see him at his surgery, she was astonished to see a much older man with white hair, and asked for the sandy-haired doctor, who had come to her home on the Sunday evening her fiancé had died. “John Taylor”, he said at once “Yes, I remember, he was young, such a pity, he was dead when I arrived”. He looked at Emma with curiosity and said “I didn’t see you”. Emma replied “No I didn’t see you either, but I saw the other doctor with you, who came upstairs to talk with me and comfort me” “There was no other doctor” he said. Emma then told him about the sandy-haired doctor and that he had explained the cause of John’s dying so suddenly. Dr. Robinson stopped her in amazement and told her that she had been informed of the exact cause of death as recorded at the post-mortem. Julie’s mother died when she was only seventeen. A short time after her mother’s death she had just got into bed when she saw her mother come through the bedroom door towards her in the bed and appeared to be reaching out to touch her. Julie told me she was terrified and proceeded to pull the bedcovers up over her head and then realised that she wanted to see her mother again, but when she pulled the covers away the figure of her mother turned and moved away out of her bedroom. She felt desperately upset about having been so afraid of someone she had loved so dearly. A Telephone call from the dead? Moira described her mother’s voice as very laboured and slow as though she was finding it difficult to talk. Obviously she was very shocked and her husband, who was in room while this occurred, felt that this experience may have been due to the impact of bereavement. However, Moira does not feel this was the case at all as she emphasised that she clearly heard this voice on the telephone and that it was indeed her mother. Moira and her mother are very well known to me. I have spoken with both her and her husband and Moira feels strongly that the telephone call she received on that day was from her mother. Within my own experiences I also had the great fortune to meet a deeply spiritual man many years ago now. He was a healer and held a clinic in a suburb of Newcastle. There was no charge and he conducted healing on many people who visited the clinic from all over the area, sometimes travelling long distances by bus to see him. During his healing sessions, he also underwent an enormous transformation and his facial features appeared to take on different characteristics, but the really astonishing part was the way he spoke and his voice. He was a real Geordie with an accent to go with it, but when he started healing his voice took the sound of cultured Indian enunciation with an extensive vocabulary. This would continue throughout the healing sessions, which sometimes went on for hours. The explanation was that he was acting as a medium for an Indian doctor to speak and heal through him and there was a lot of specific background as to who this doctor had been. As I experienced this myself, there is no doubt in my mind that this man was genuine. He helped an enormous amount of people and did not make a penny from his clinic. A small collection box was available if anyone wished to contribute a small donation. He was able to locate any problems that his visitors were suffering from immediately and his hands generated enormous heat, when he conducted his healing sessions. I heard many stories from those who worked with him and the healing that had been generated on people with very serious health problems. From a personal point of view I felt heat for days afterwards on a specific area of my abdomen. It was quite amazing. He told me that in order for healing to continue, I had to picture his face in my mind and focus on this. This worked for me and whether this was created by a positive energy because I believed this would occur was probably unimportant. The point is that suggestion and the power of the mind is an essential part of any healing, but this does not negate the original source of the healing. This good and gracious man died of a heart attack several years ago. The only way you knew of him and the clinic was through word of mouth. He was unknown otherwise. The most profound puzzle of all is the fact that, whatever we may experience mentally, time does not pass, nor does there exist a past, present, or future. In its place is an existence of many universes, overlapping at their ‘edges’, where ‘time’ as we understand it is an irrelevance………Professor Paul Davies, Other Worlds. In looking at beliefs and scepticism surrounding claims of extraordinary experiences in bereavement, let us begin the journey, of taking the reader one step beyond with a first hand account of after death communication and the complexities of our view of reality. Patricia, the lady concerned, had many unusual experiences, which occurred intermittently during her life. She was married to an RAF officer and had travelled extensively because of this. She was a down-to-earth, sensible and practical lady, who took these experiences and anomalous events in her life very much in her stride. She did not particularly examine the nature of what may be happening or have concerns with why she experienced these events. She accepted them as part of her life and felt that they occurred in some way that she had yet to understand. However, she did not dismiss the reality of these events, and the possibility that there is an interaction with those ‘other worlds’ that maybe operating outside the parameters of our perception of reality. This lady was well known to me and I heard of many curious incidents in her life, which she related to me from time to time. She neither dwelled on these unusual experiences, but nor did she discount them. She appeared to integrate them into her life and just got on with day-to-day living. 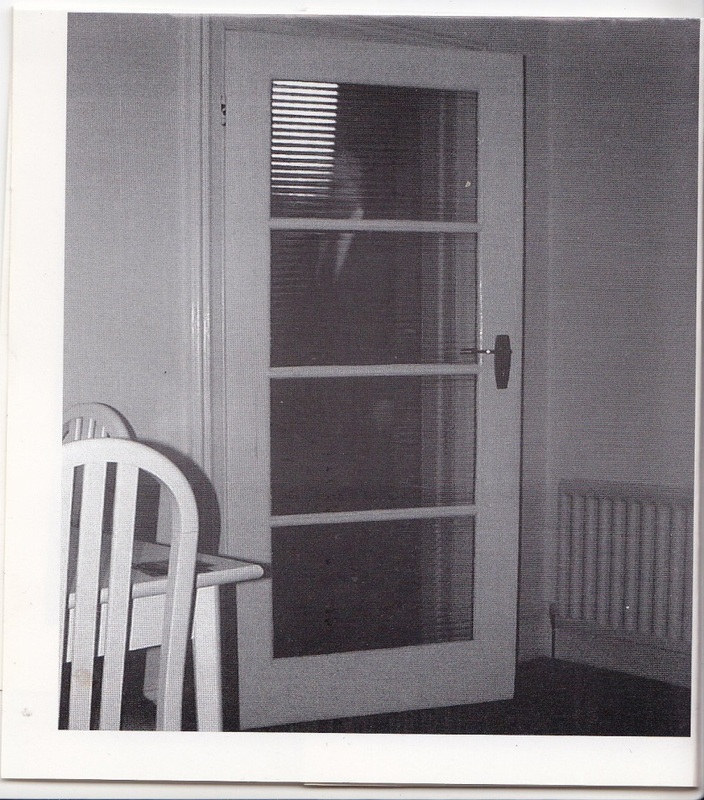 The following is a transcript of her account of these compelling events beginning with a curious and unusual narrative relating to a possible haunting in a hotel in the Cheltenham area, whilst staying there in 1996…..
“I was invited to join some old American friends of mine as their guest. I was to stay with them at a hotel just outside of Cheltenham in Gloucestershire in May of 1996. It was a very old hotel from the thirteenth century. When I arrived in the afternoon I was given my room number, which was nineteen and made my way up the stairs to unpack my luggage etc. It was on the second floor, but there were no lifts as it was a very old hotel. The stairs were just like going up into a turret and as I walked up these stairs, which seemed to be very bleak, being so old and in stone, I sensed…peculiarly… I sensed as though someone was behind me and I wasn’t very happy as I walked up the stairs. I thought, ‘this is ridiculous’, but there was some kind of pressure as I walked up the stairs, which I had to do slowly because they were shaped like that. You couldn’t dash up the turret stairs, because they were awkward to climb. I went into my room to unpack all my things and I can’t explain exactly in words….but….I was uneasy in the room. I didn’t know the reason why, as there was nothing there to upset me, but I just felt very uneasy in the room, which was very unusual for me. I unpacked all my things then came downstairs and we went out and then we had our dinner together. When I went upstairs later in the evening to retire, I still sensed something peculiar. It was before midnight at this time and when I went to open the wardrobe door, I hesitated before opening it, which was rather strange because I thought, ‘why am I hesitating, it’s only a wardrobe’, but I felt as though there was some presence there. I opened the wardrobe, there was nothing there, so I put my clothes away, shut the door and went to bed. My bed was against wall and was a single bed. I went off to sleep and I was awakened by this terrific force on my back. I was turned towards the wall in the bed and I woke up with this terrific pressure on my back, forcing and pushing me in a very unpleasant way and I was really frightened and thought, ‘dear me what is going on?’ Because it was my first night in the room, I had to collect my thoughts as to where the lights were and I remembered that there was a light there somewhere further up, high above and to the side of the bed where I was sleeping. It took great courage, I have to say, to find the light and put it on, because I was petrified to turn because of the pressure in my back, which was really hurting me. I put the light on and very reluctantly turned round …..and there was NOTHING there. After putting the light on, the pressure dispersed. I was definitely awake, because when awakened… and I am sure it was that that made me awaken… I felt ‘can I be imagining this’, but I was quite well awake and it continued…this pressure….and I was really quite frightened…it was almost as though someone was pushing me into the wall with such force…. and really to be quite honest it took a lot of courage for me to try and find the light, bearing in mind it was my first night in the room…to switch it on…to find out. Now from then, I could not get back to sleep, as one would appreciate, for quite some time. I left all the lights on in the room all night long and I was most unhappy about it. However, the following morning, I went down to join my American friends for breakfast. During breakfast, I told my friends about my experience the night before. They insisted I should change my room, but in a way I felt they hesitated because of the fact that the year before I had lost my husband and maybe they thought that I was vulnerable, but really they knew me well enough to know this would not be the case. I went to the reception area, because it was still on my mind, and asked the receptionist if he could enlighten me with any information about the hotel because of the bad experience I had during the night in my room. He said to me “your room number, is it nineteen?” I said, “Yes, it is nineteen”. “Oh”, he said, “the maid, who changes the beds, would not go up to that room, because she was petrified whenever she went up the turret stairs, there was the marching of heavy feet behind her and she was petrified and ran down and would not go back there…to that room…anymore”. However, although my friends felt I must move rooms, I felt rather embarrassed that there would be all this performance to try and find another room, and I said just to leave it and I would try and cope with it. That night I did not go to sleep at all without all the lights on and I even had the television on and I hesitated and went towards the wardrobe again and I had a terrible sense that there was somebody there. It was as though…almost as though…the spirit or whoever it was that was there, were out more or less to injure you, not to be pleasant. Another strange thing was that on looking out of the window, there were four white doves there…four white doves, outside of my window, on top of a little turret outside. This fascinated me to see those four white birds there. I thought it was very strange…very strange. This unusual presence that you felt in the room, you talk about the wardrobe, would you say that this was emanating from within the wardrobe or from the general area? Patricia: It felt as though it was within the wardrobe and I felt as though it was an evil presence, nothing pleasant. You kept the lights on and you did not receive this sensation of the pressure on your back again? Patricia: No, no I did not. I had a terrible sense of uneasiness that there was some presence around that I couldn’t see, because I had the light on all the time and it is something I never do at night when I go to sleep, I never leave the lights on. I am not inclined to worry about that at all. I am sure that helped to keep, whatever it was, at bay….the lights on and the television. Did you mention in the hotel about these white doves at all and whether these may have been indigenous to the area? Patricia: No, as a matter of a fact I didn’t. I don’t know why I didn’t do that, but I did find it very unusual. Is there anything else you can remember that anyone else told you about that room during your stay there? Patricia: Only the receptionist, who told me about the maid, who felt there were people behind her marching up the stairs and it was very forceful and the noise was indescribable to her and she was petrified and ran back down saying she would never go up there again. There is little doubt that Patricia experienced some strange and inexplicable events in this hotel. She called me the following day after arriving there, and when I asked how she was enjoying herself, she was very apprehensive in her response and went on to tell me about this experience the previous night and the fact that she was very uneasy in this particular room. I did mention to her about changing her room, but she obviously felt embarrassed about having to do this and had decided against it. I asked Patricia to tell me about her experiences from April of 1995. She recalls these experiences in the following way. Approximately within a week after my husband, Ron, was buried, I was in the bathroom in the morning getting dressed and putting my make-up on and we have a radio in the bathroom…there was music playing and suddenly this voice shouted out “Pat” and it was exactly like my husband calling my name and I thought I must be imagining this and it must be on the radio and I was listening to the music and thought… well,. No…. and I felt quite perturbed about it so I turned and walked out of the bathroom door and went onto the landing to the room that he used to be in a lot. It was a sort of office where he did lots of things after he was retired and I looked up and looked around thinking ‘well that sounds just like Ron’s voice’. And again it came in a loud voice “PAT”, calling out as though…you know. ..You’ve got to hear me; this was the way it was portrayed to me. That was my first experience, and I knew then that was definitely Ron’s voice. There’s nobody, who could make me think it was anything else, but HIS voice calling me from wherever or whatever place he was in…..there was something and there was a connection there. Do you remember thinking about Ron at the time? Patricia: No I can’t say that I was, particularly, at that moment, but when the name came, it definitely was his voice, I momentarily thought, well I am imagining this, maybe it is someone saying ‘Pat’ on the radio, but then I thought how could there be, they’re playing music, so that was when I went out on to the landing, went towards the room and sure enough a very definite clear ‘Pat’ was shouting to me, calling me. Did that appear to be coming from the radio again? Patricia: No, because I was out of the room and nowhere near the radio and I was in another room. What did you feel after that, I mean, did you believe you had heard his voice. Patricia: I was most definitely convinced. There is no-one who could make me think otherwise. That was definitely Ron’s voice both times. And this was nothing to do with your imagination because of the fact that you had been so recently bereaved? Patricia: None whatever, it was exactly the kind of calls he would give if I was downstairs or upstairs, when he called me …it was clear, very clear. Have you ever heard this since? Patricia: No I have never heard that since. It was just the one time? Patricia goes on to relate a further event…. Two to three months after this incident, I was sitting in my dining room watching a television programme and I started to drift off and came to and looked at my watch and thought ‘damn I’m busy with a programme’ although I doubt I had been asleep more than ten minutes or so at the most. I looked back at the programme and happened to look across at the dining room door. The dining room door has four lots of glass in it and I looked across at the door. I don’t know why I did this, but it was as though something was compelling me to look across at the door. I still sat in the seat exactly the same and when I looked across through the glass; I saw my husband standing in the hall…most definitely saw him very clearly in the jacket he most often wore, which was like a blue/grey Harris Tweed jacket. I looked in amazement actually…am I imagining this… and I looked again and then it became stronger…the picture of him became stronger, the apparition or whatever you want to call it…and he was clearly there, defined….his face, hair…he had sort of wavy grey hair and everything….just standing in the hall with his head turned towards the glass dining room door. Now, I don’t know why I didn’t get up and go towards the door, but I think it was because I was held spellbound looking at him and then I would say in a fraction of another minute it had gone…that was it. It seemed to fade…faded away and I have never seen him again. I believed and still do absolutely that Ron was there, trying to show himself to me. He was very clear to me. I don’t know why I didn’t get up and go towards the door , but I think I was so amazed to see him, I wanted to see that picture and hold it and look at him, and not make an effort to get up, but I don’t know why I didn’t make an effort to get up. Seeing him did not frighten me, I was spellbound by this image of him. He was there exactly as he was in life…he was just standing there all dressed in his normal gear…standing there with his head turned toward the glass dining room door. I think maybe he was there just showing me that he was still somewhere around in other words. I have never had any further experiences of seeing or hearing Ron after these experiences. I asked Patricia whether she felt that this image could have been induced by hypnagogia, the altered state of consciousness between being awake and being asleep. Patricia: No, I was wide awake, because I looked back at the programme and I looked at my watch and thought, “oh, it‘s only been roughly ten minutes of the programme that I have missed and was annoyed I had missed the rest of the programme, and by looking at the programme, that was when for some unknown reason I turned my head to look through the glass. So you feel that you were seeing something right before your eyes? Patricia: Yes, definitely, he was there….he was portrayed there exactly as he was in life and then he seemed to suddenly fade away. Did it seem as though he was actually physically there? However, it should be remembered that Patricia has had many extraordinary experiences during her life, starting at a young age as a teenager and as documented at the beginning of this article, although she has never particularly explored these things in any great depth. 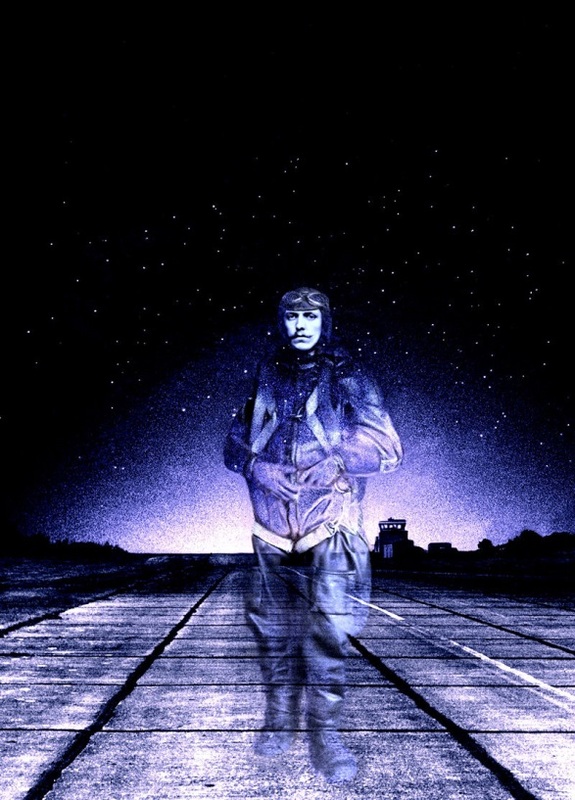 On two occasions, these experiences have involved apparitions, one of her father, who died when she was sixteen years old, and on another occasion whilst she was staying in Northern Ireland at an RAF base with Ron whilst he was a serving officer. On this occasion she awoke and saw a figure leaning over her bed. She described the figure as female with an old fashioned type of headdress. She found this rather frightening. She also saw her brother on one occasion during the night whilst they were stationed with the RAF in Cyprus. She describes him as standing at the bottom of the bed with a cigarette in his hand. The remarkable feature of this incident is that her brother was very much alive and had never been to Cyprus, but Patricia awoke and saw him in the room. She awoke Ron to observe this ‘apparition’, but he did not see him as by this time the image had gone. This could be dismissed as a dream or hypnagogic hallucinations, but for the fact that her brother wrote to her after this questioning why her adult daughter was sleeping in the bed with her one night and asking where Ron was. He was perfectly correct in this, at that particular time and it was a very unusual occurrence for her adult daughter to be sleeping in the bed with her mother. Therefore this appears to give some form of credence to the idea that Patricia had awoken that night and had indeed seen her brother in her bedroom. With regard to claims of contact experiences during bereavement, it is my view that we are at the tip of an iceberg in assessing the enormous number of these reports. I believe that we cannot ignore them and that worldwide research being conducted into this field of study is probably the most powerful for this century, as we try to grasp the issues that are being raised here. Whatever they may mean and however sceptical we are about the reasons for these experiences, they are still vitally important in our quest to understand what these remarkable experiences mean in terms of the human consciousness. Footnote: Patricia was my mother and sadly, she died several years ago. The above experiences are dedicated to her memory and her courage during her last days in this life. I miss her terribly. About a week prior to her death, she spoke of seeing two very close friends and a pilot, to whom she was engaged during World War II. He was killed in action and she often talked about him during her lifetime. Her two close friends had died many years before. Abandoned dreams of happiness and light. One night in June, 1944, this officer was pilot and captain of an aircraft detailed to attack Sterkrade. On the return flight the aircraft was intercepted by a fighter, which attacked with much persistence. In the engagement, Pilot Officer Judd manoeuvred with great skill and finally the attacker was driven off and believed to have been destroyed. The bomber had sustained extensive damage, however, and one wing was on fire. Nevertheless, Pilot Officer Judd set a course in an attempt to reach home. Before the English coast could be reached the fire had spread considerably and Pilot Officer Judd was forced to bring the crippled aircraft down on to the sea, a task he skilfully accomplished. All the crew got safely aboard the dinghy and were subsequently rescued. In the face of most harassing circumstances, this gallant pilot set an example of the highest order. On the night Pilot Officer Judd, his crew and plane were shot down; his parents experienced a curious event. They were asleep at the time and were both awoken by footsteps coming along the gravel path, which led to their house. As they prepared to get up, they heard the doorbell, which kept on ringing. Anxiously wondering who was at their door in the middle of the night, they rushed downstairs to discover there was no-one at their door, nor was anyone in the area at all. The footsteps and constant ringing of their doorbell occurred at the exact time that their son’s Halifax and crew ditched hundreds of miles away into a very cold North Sea. 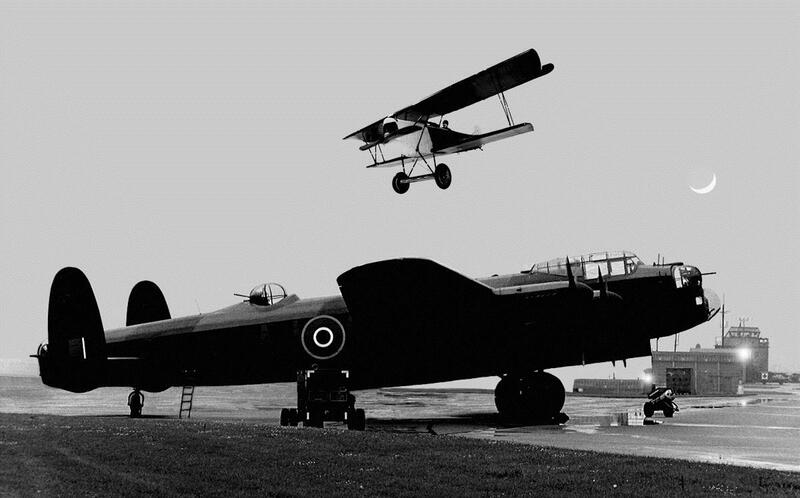 Another eerie story that Syd Judd related to me during a day I spent at Elvington occurred in Lincolnshire a wartime RAF bomber station. During World War II, there would always be an airman in a caravan at the end of the runway. He would be responsible for the aircraft taxiing out on their missions just before take-off. On this particular night during WWII, the airman in the caravan was very puzzled to see a First World War biplane land on the runway at this airfield. The pilot, dressed in full World War One flying kit, climbed out of the cockpit and walked toward the caravan, where he handed the stunned airman a note, with the number of a specific Lancaster that had taken off on a bombing raid that night. He proceeded to inform the airman that this Lancaster had crashed and all crew were killed. He then left the caravan, got back into his plane and took off. The airman radioed the control tower to give them this information and he was immediately replaced and taken off duty! Several hours later the control tower received information that this specific Lancaster as recorded on the paper given to the airman had crashed and all crew had been killed. The crash had occurred at the precise time of the visit from the pilot in the biplane!! Another strange incident was recounted to me by Sqn.Ldr. 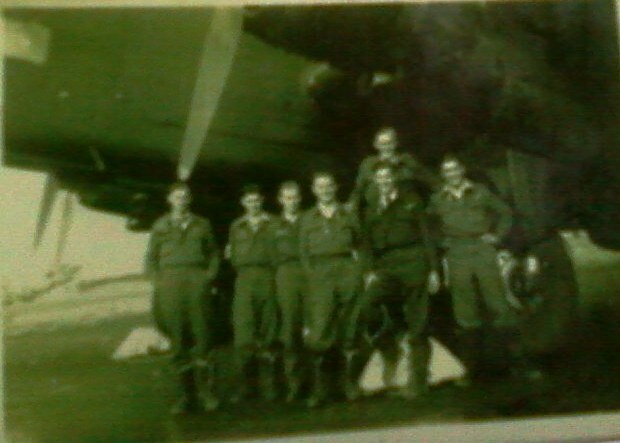 Blackwell; he was a mid-air gunner and part of the aircrew in the photograph above. This incident occurred in the 1970s when he was staying at an old wartime bomber station. One night he awoke and needed the bathroom. Walking along the Officers Mess corridor to the bathroom he saw a fair-haired young man walking towards him and then past him. He was dressed in full World War II flying kit of boots, jacket and helmet. It occurred to him several seconds later that this was rather odd and the next day whilst having a drink in the bar he mentioned it to the other officers, who informed him that this person had been seen by many other officers dressed in exactly the same way. They said that this was someone who had been killed in action during a mission from this flying station. All of the above accounts are accounts of people’s perception and interpretation of experiences that they cannot just file away and cannot fully explain. Their experiences were totally palpable to them and they feel absolutely convinced of the reality of these incidents although they are happy to explore all possibilities in order to find an acceptable answer to define the experience and shed the mystery. But there are mysteries that remain despite objective and extreme efforts to explore what these experiences mean. Is it possible that claims of contact with the dead are indeed plausible? Are they happening at a level of another reality that we access very briefly from time to time and where we enter an altered state of consciousness in order to reach this other world reality? If indeed only a subjective reality exists, then everything we experience could be part of a much bigger picture, a magical mystery tour of the living Cosmos with you and I only experiencing a miniscule part of this Maybe those glimpses we access at times in our lives are part of something infinitely more real than anything we have experienced during our physical life cycle. What we are learning about paranormal phenomena flies in the face of everything we have been taught about the nature of reality. 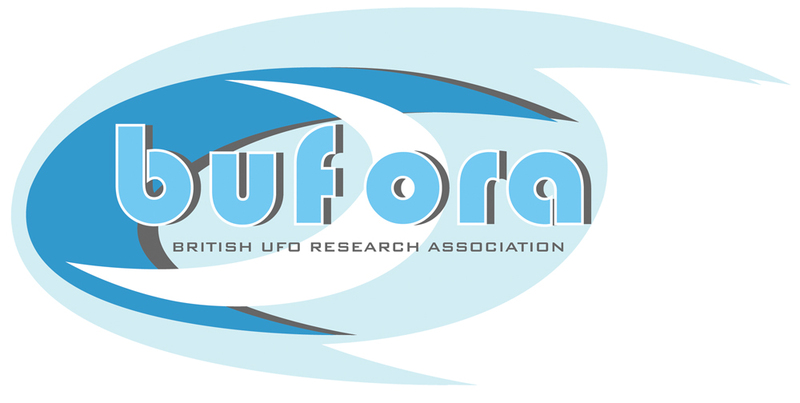 Copyright reserved for all contributors @ bufora.org.uk 2012.